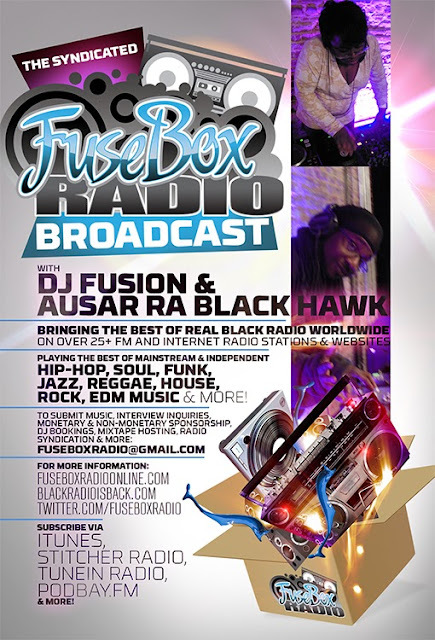 FuseBox Radio: Respectability Politics, Race & Riots [FLASHBACK EPISODE: Week of April 12, 2017] | BlackRadioIsBack.com - Official Blog of the Syndicated FuseBox Radio Broadcast! The commentary during that week (over the phone due to the Black Hawk being out of town) during the show touched base on updates regarding the death of Freddie Gray in Baltimore, MD and it's after effects in the area (the #BaltimoreUprising, riots and why they occur, political and mainstream media responses & actions, etc. ), Chicago & the exposed history of police brutality in Holman Square, the Mayweather vs. Paciquao boxing match and how folks reacted to it that were and were not fans of the sport (or the individuals in play), “Deflategate” and the NFL, the passing of singer/songwriters Ben E. King & Errol Brown (of Hot Chocolate), jazz musician Bob James suing Madlib for sample clearance issues and some other things here and there. There is no brand new Black Agenda Report news mini-segment on this week's episode due to this week's extended commentary.